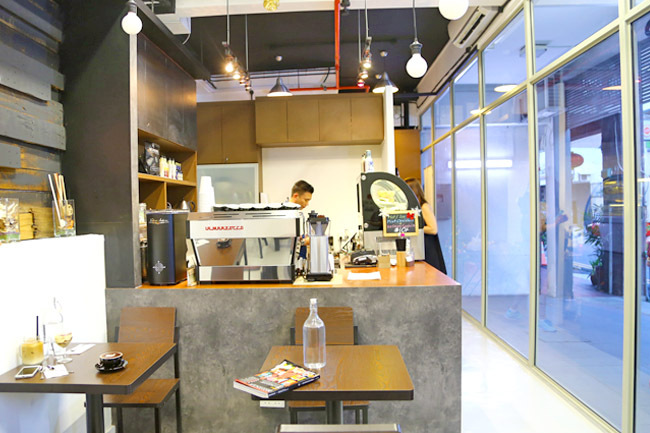 Every now and then, a café opens in Singapore that is off the radar, almost unheard of. And they may realise that keeping a café alive (also in the social media aspect) is more than that few obligatory Facebook and Instagram postings. Dose! 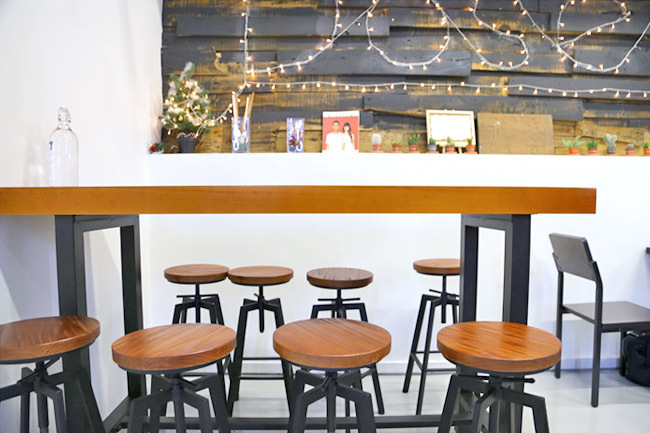 replaced Anythingz Café at Tyrwhitt Road. And to no offence to the previous owners, my friends went, “There was an Anythingz Café?” Yes, with the “Z”. 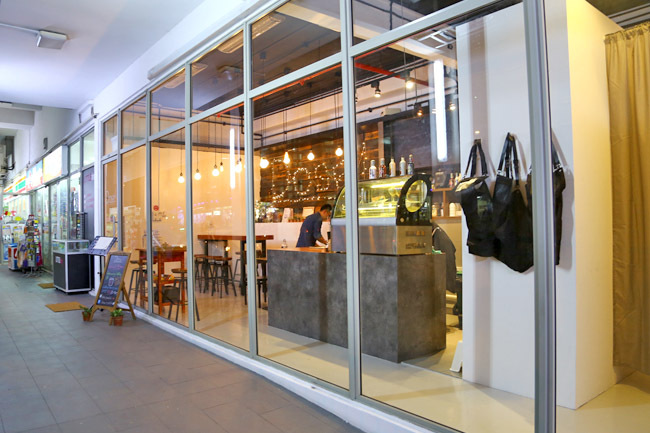 This is an extremely tricky location, diagonally opposite THE Chye Seng Huat, within walking distance from some other prominent cafes such as The Tiramisu Hero and 20F Speciality Coffeehouse. Dose! 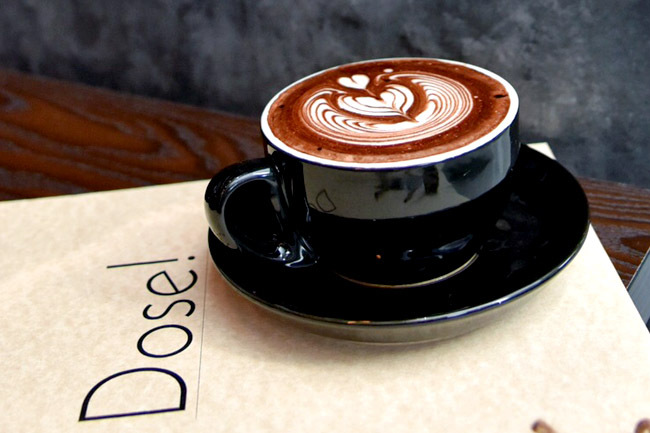 is so named because every dose of coffee is measured to maintain the consistency of the beverage served. 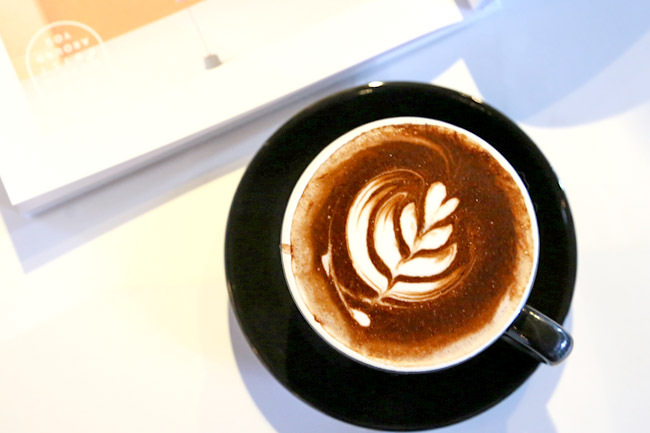 Blacklist Etude Blend from Perth is used for the coffee, while Chocolate drinks are from Australia’s Grounded Pleasures. The Mint Chocolate ($6.50) combines peppermint oil which is distilled from fresh peppermint and African Red cocoa. Overall, this did remind us of how After 8 would have tasted it was a cup of drink. Coffee wise, wasn’t our favourite. For food more substantial, savoury waffles ($14-$16) sandwiched with a choice of ham, bacon, egg and cheese or smoked salmon are available. 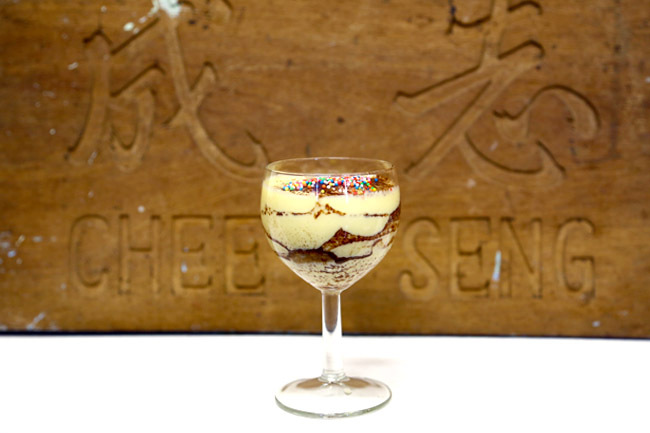 The in-house special dessert is a Tiramisu infused with Baileys, served in a wine glass. I liked its texture overall, though wondered if the rainbow sprinkles were redundant and distracting. The owner’s grandfather had the ambition of starting his own accounting firm back in the 1940s -1950s. He handcrafted a signboard for his firm, naming it 志成 (Chee Seng). When translated, it simply means “fulfillment of ambition”. You would see this signboard proudly displayed there, as a continuation of this dream.